A "statute" is a written law passed by a legislative body. In Maryland, the legislative body is the Maryland General Assembly. All public and permanent statutes currently in effect are published by subject in arrangements called "statutory codes" or "code". This is true for the various states, including Maryland, and the United States as a nation. In Maryland, these collected laws are called the "Annotated Code of Maryland." The word "annotated" refers to the fact that this version of the code includes case law notes after each section. The Federal Laws are collected in three versions called the "United States Code," "The United States Code Annotated," and the "United States Code Service." 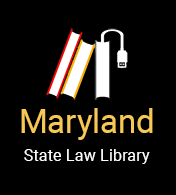 Many Maryland libraries, both law libraries and general public libraries, subscribe to the Annotated Code of Maryland and at least one version of the United States Code. To find any specific statute in a code, you need a "citation." A citation tells you how to find the code you are looking for. One way to find citations is to read the People’s Law Library articles on the legal subject you are interested in. Most of the articles in the Maryland Code now have names like “Real Property” or "Family Law." Some have numbers instead, like "Volume 1." When you’re using a print version of the Maryland Code, the article name or number in a citation tells you to look at those volumes of the Code with that article name or number on the spine. You would then look within those volumes for the specific section number in the citation. Be careful when viewing online versions of the code. You cannot rely on everything you might find on the web. For example, some websites may provide access to an outdated version of the code. When you’re using the web version of the Code, how you search will depend on your research. For some resources, such as database like LexisAdvance or WestlawNext, you can just type in the article name or number and the section number as search terms. For other resources, you may have to click on links that are organized like the print volumes. For example, the Maryland General Assembly's website provides access to the Maryland Code (without annotations). You would select the Article from a drop-down menu, and then select a section from a second drop-down menu. The United States Code is broken down into broad subject divisions called “titles.” All titles of the United States Code are numbered, instead of named. When you’re using a print version of the United States Code, the title number in the citation tells you to look at those volumes of the Code with that title number on the spine. Be careful when you look for the title number on the volume spines, because the volumes also have volume numbers, which are different. One title may spread across several volumes. When you’re using the web version of the Code, how you search will depend on your resource. For other resources, you may have to click on links that are organized like the print volumes. For example, the U.S. House of Representatives' Office of the Law Revision Counsel allows users to browse by title and section.